coffee plantations and much more. 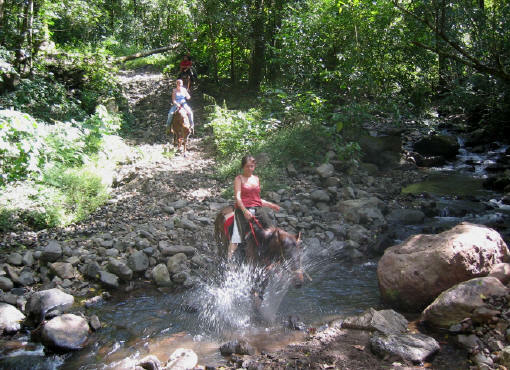 This horseback ride has established over the years to be the main attention of our multi-day horse trekking tours. The advantage is that you travel light and there is no need to change your night accommodation. 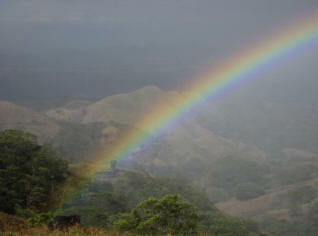 and also benefit of more sightseeing here in the famous Cloud Forest of Costa Rica. You arrive the day before the ride in Monteverde. and check in your accommodation. 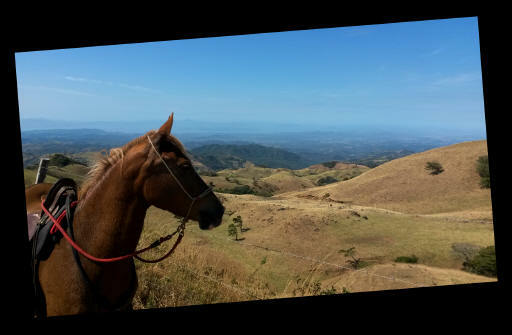 View points to the Pacific ocean and Nicoya Peninsula. 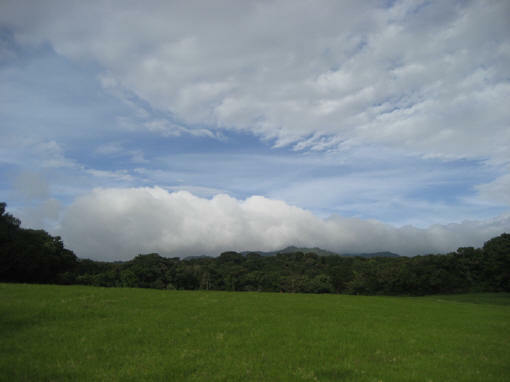 Then we will be climbing by horse higher in the height of the Cloud Forest. Sometimes we are lucky enough to spot a sloth. a nice little hike to the waterfall. 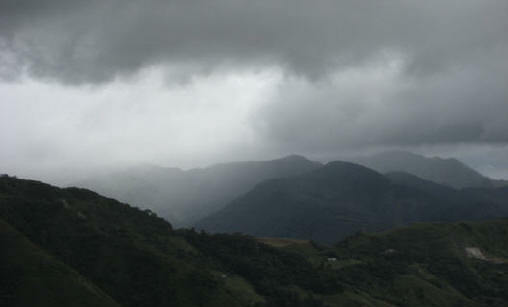 In the evening you might go on a guided night tour in the Cloud Forest. We do ride today from Monteverde to the hot springs in Las Juntas. We will start at the farm at 8 AM in the morning. This is our special high light adventure off main tracks. without any cars passing or crossing nowhere. or even a coffee Tour. add our 4 day beach ride.. Riding level: Riders are required to have an Intermediate level of riding experience and should feel comfortable trotting along for a while, if necessary. Riding: 3 Days, average of 4-5 hours a day. 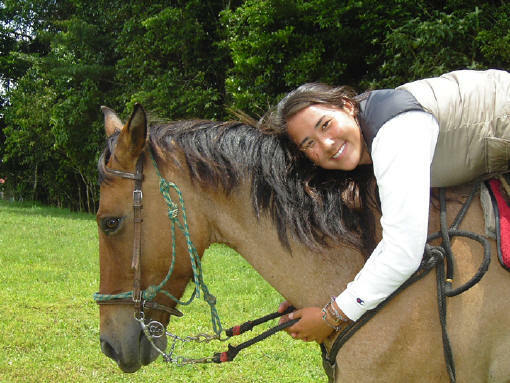 Type of ride / mode: Center-base Costa Rican style, mixture between English and Western. Accommodations: 4-nights at the TreeTop House Monteverde. Your home in the middle of the Cloud Forest, close to restaurants and many other services. 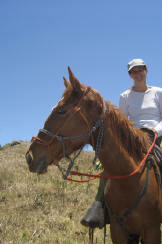 Each apartment has WiFi and phone Guides: Equestrian-Naturalist Guide on the ride. 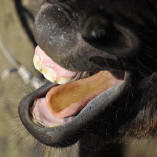 Meeting point: Sabine's Smiling Horses Transportation: Pick up by taxi at the TreeTop House. Extra Tours available: Zip line tour or guided hike in the Cloud Forest or a guided night tour. Price: $ 950 US, Single supplement $250. Payment: 50 % on reservation and 50 % are due 14 days before the ride into our account. Tack, horse-bags, ponchos & flash lights, riding helmets. All rides as described in the itinerary, 3 days riding. 4 nights in the TreeTop House, based on double occupancy. Equestrian guiding during all rides. 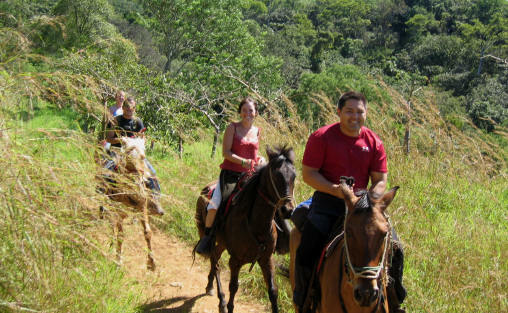 Your guide has years of experience in horses, guiding our guests in Monteverde. Meal as specified in the itinerary. Daily transportation from TreeTop House to Smiling Horses. Flight to Costa Rica and hotels in San Jose. Snacks during the rides above indicated meal in the itinerary. Tips & Gratuities for Guide, Driver, local guides. Other tours and transportations as indicated. Late check-out or early check-in. T-Shirts, long pants, half chaps, if handy, light jacket or rain jacket firm closed shoes, long pants, comfortable pants for riding, warm sweater since Monteverde nights can get cool. Water Bottle – for refreshments while you are riding. Hat – a cowboy hat or baseball caps or canvas–type hats work just as well and can be easy attached to the saddle.